You can book ferries from Jeju to Chuja and Wando with AFerry. The Jeju ferry route is operated by Hanil Express ferries. See the departure boards below for the latest schedules and use the booking form on the left to book your Jeju ferry with AFerry. On board with Seaworld Express you will find a range of facilities to keep you both entertained and refreshed for your journey ahead. Try the onboard game room, or the singing room for entertainment, or if you want to refuel you will enjoy any of the onboard bars & restaurants. For ultimate relaxation on your trip, try the massage room. So, book your Jeju ferry simply and securely with AFerry! Jeju Port Terminal is located on the Northern shore of Jeju island (also spelled Cheju) outside the city of Jeju. The port has several buildings for passengers and cargo. Boats arrive and depart daily to several ports in Korea and Japan. Schedules and rates at the port are posted in Korean so it's a good idea if you book in advance with AFerry. Ships from the port Jeju cary about 2,401,000 passengers annually, which amounts to about six percent of the total number of people coming in and going out of Jeju every year. 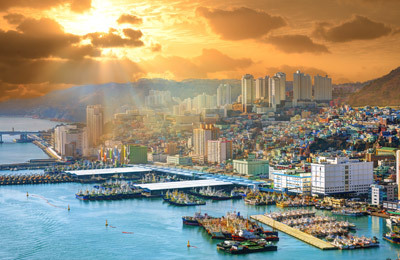 Jeju's port is large and modern and provides all the facilities that you would expect at such a port. 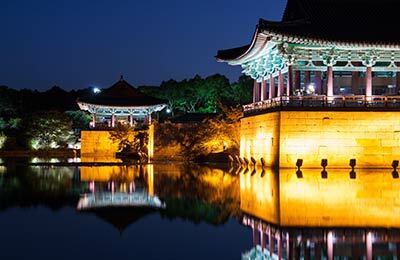 The port of Jeju is located only a few kilometres from the city centre and Jeju international airport. The port is well connected by road to the rest of the city and just as in any large city, public transport services are available.